Neil Jordan has directed three movies that I like very much - Crying Game, Interview with the Vampire and The End of the Affair - which were all done in the 90s. Then I don't know what happened to him if he still continued to direct. 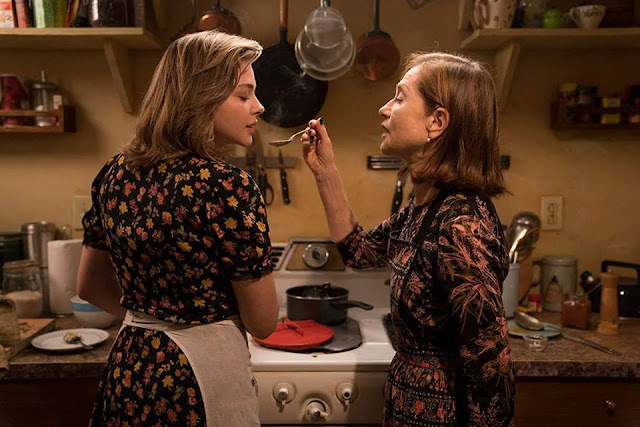 That is why when I saw that he directed this new movie called Greta, my curiosity was immediately piqued much like meeting a lost old friend. Also, it is pretty rare for an Isabelle Huppert movie to be screened in a theater here in Manila, so watching this grand dame of French cinema work her magic on the big screen is quite a treat. 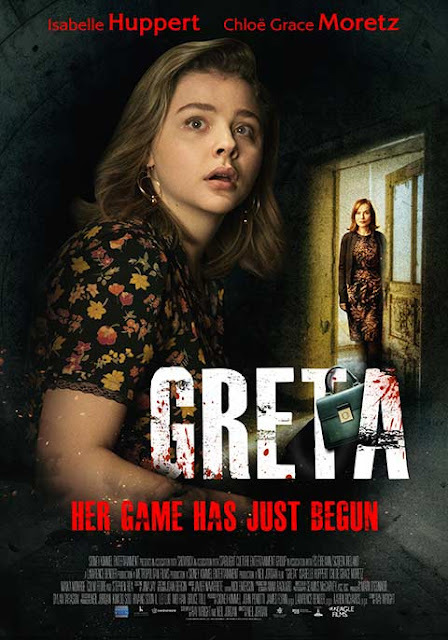 Turns out, Greta is a horror movie and if you're an Isabelle Huppert fan, you would have seen composites of her character here in many of her previous movies. This Greta though is scary and is mentally unhinged and you can see Isabelle just playing the role to the hilt. The scene where she danced after shooting a person to death is vintage Huppert - macabre and sick, very very sick. Putting Chloe Grace Moretz as her victim is also good since Huppert's ying should overwhelm Moretz's yang, otherwise the movie would look absurd. Well, here's hoping everyone gets a better script and story next time. Made me wonder though, what if James Wan did this story, would it be more scary?